Protecting yourself from rising water levels and flooded basements is actually easier then you may think. 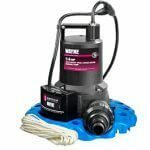 Ensuring you have the best primary sump pump and battery back-up system installed in your basement is the first step. Think of it like car shopping, sure, you can get a pretty decent deal on a no-name base model, but the reliability will be shoddy at best. Given the option to go up slightly in price, you’re able to purchase a product that’s a reliable proven brand. 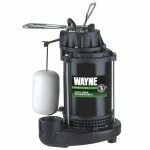 That’s where the WAYNE professional, rugged series of sump pumps come into the equation. 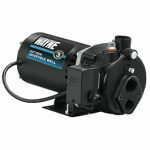 With pump construction ranging from reinforced thermoplastic, to rugged cast iron, motors ranging from 1/3 to 1 HP, there’s a WAYNE CDU pump suited for every household. The CDU1000, features a 1 HP motor, stainless steel construction, and cast iron base. While pumping an impressive 4860 at 5 ft., it’s perfect for basements and locations that experience high levels of rain and runoff. It’s not just the specs that are impressive, customers have rated the CDU1000 an average of 4.5 stars out of 5. “Part of my El Nino preparation,” said William N, “best value for the price,” wrote Ken J. With specs and ratings like this, the WAYNE CDU series is a no-brainer for unpredictable weather. But let’s say you’re going to be out of town for the weekend, or you experience a sudden power outage during a storm. 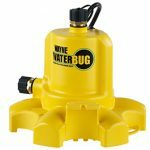 If you had decided to purchase a no-name cheap sump pump, you’d be experiencing a flooded basement and thousands of dollars in repairs. However, if you had purchased a WAYNE combined primary and battery back-up system, you’d rest easy, knowing you were protected by the most durable, reliable systems on the market. One such system, is the popular WAYNE WSS30V Combination Battery Back-Up System. 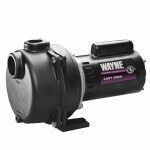 Featuring the WAYNE CDU800 ½ HP Primary Pump with a max flow rate of 4200 GPH, 12-Volt Back-Up Pump with a max flow rate of 3300 GPH, pre-assembled AND preset for quick and hassle-free installation. Assembled in the US, at WAYNE’s manufacturing facility in Harrison, OH, the WAYNE WSS30V is crafted to the standards that customers have come to associate with the WAYNE name. Given the ever-changing nature of our climate and the options listed above, you may not be able to PREDICT the weather, but you can be PREPARED for the weather, with a WAYNE CDU or battery back-up system. 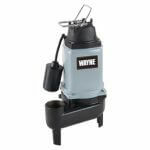 For more information and to learn more about the existing catalog of WAYNE pumps, visit www.waynepumps.com.